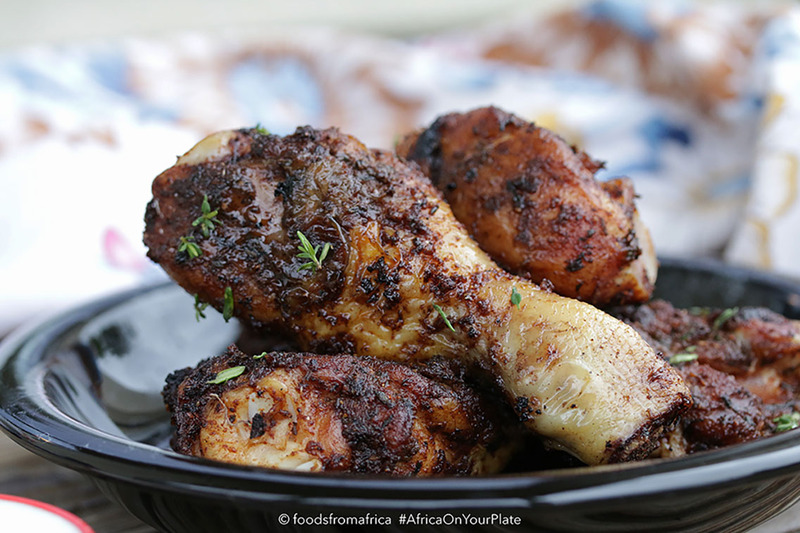 This West African Jerk Chicken recipe relies on a blend of heady spices rubbed into the chicken which is then flame-grilled or oven-baked to deliver chicken that is succulent, smoky, spicy and sweet. Delicious as a side dish or served with a salad. One of the hallmarks of African or indeed Caribbean cooking is chilli. 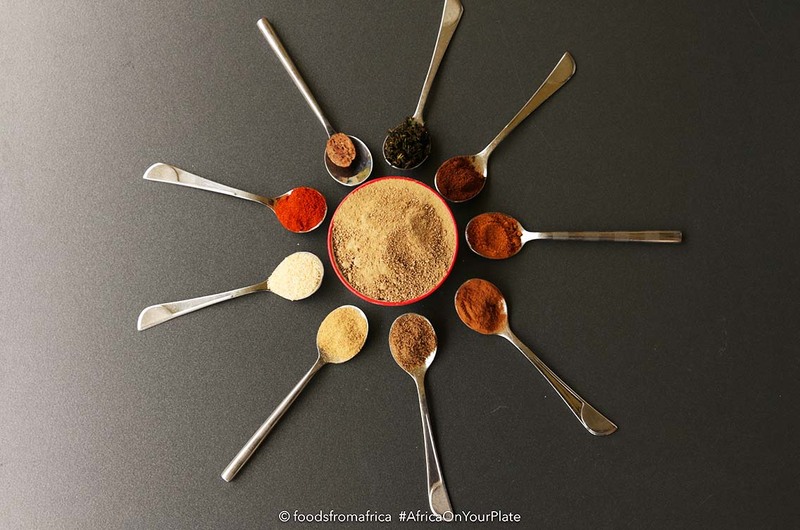 We love all things spicy. And spicy means all kinds of chillis – , habanero, jalapeno, scotch bonnet, ghost peppers – are usually on the menu. Not all once, of course, but you get the drift? Growing up in an African household meant I grew up on chilli and I especially love chilli. Now imagine the challenge of cooking for a household with a 7-year old who exhibits zero tolerance for any kind of heat in a dish. Do I have your sympathy yet? 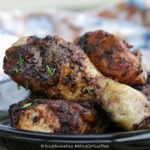 This week, I set myself a challenge to modify the jerk chicken rub recipe I have used for years. You see, the African jerk chicken I grew up on, gets it’s heat from scotch bonnet peppers, which by the way, are devilishly hot. And that is incompatible with my 7-year old. The challenge was to create a jerk chicken rub mild enough for a chilli-sensitive palate, yet punchy enough to deliver a kick, jerk-style. Dare I say, I may be onto something with this recipe, I think. And it has to do with the spice mix. It’s got that oooomph that you expect from a jerk rub… thank goodness! 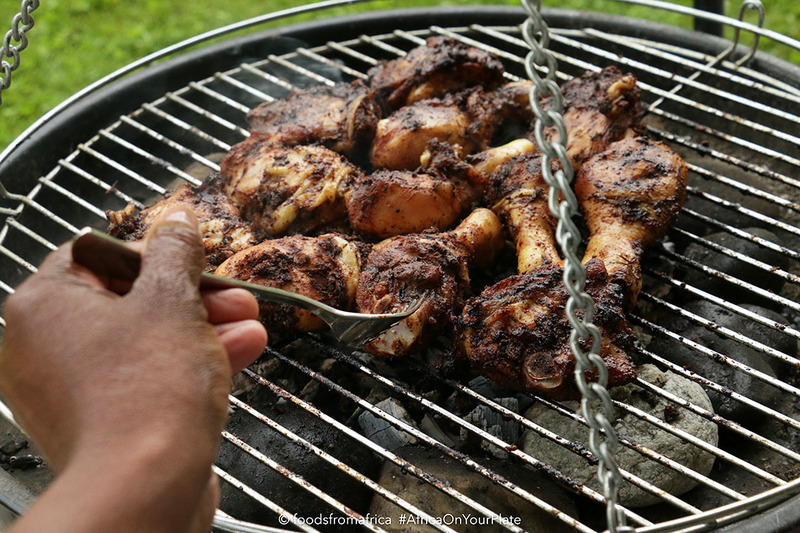 This African jerk chicken is smoky and sweet in a spicy kind of way. or should that be smoky and spicy in a sweet kind of way? Mix all the spices together. Do not add the oil to the spices at this point. Stab the chicken legs, making 1 centimetre cuts into the flesh. Rub the jerk mix well into the chicken paying attention to get the mix under the skin and into the cuts as well. Brush extra virgin olive oil onto the chicken pieces before baking in oven for 40 minutes at 180ºC (fan-assisted), or grill on a charcoal grill on indirect heat for 50 minutes or until done.